Upon arrival, you get picked up from the airport and taken to the hotel of your choosing. Time permitting, we do what is traditionally the first place you visit - the Soyambhunath Stupa (monkey temple) on our sunset walk - understanding the relevance of this structure to the history of the valley, and mingling with locals as they go about their daily rituals of devotion. This magical place gives a great feel of the valley, as you are above it and see below. It's a great place to be during sunset. HINDUISM & BUDDHISM - a deeper look at how the two major religions function in Nepal through tours of two World heritage sites - Pashupatinath and Boudhanath. TEMPLES & LAKES - A walking tour on the southern side of the valley to the first town that was taken over when Nepal was united. We hike from here for about two hours to a lake where Siberian birds come on their way south every winter. 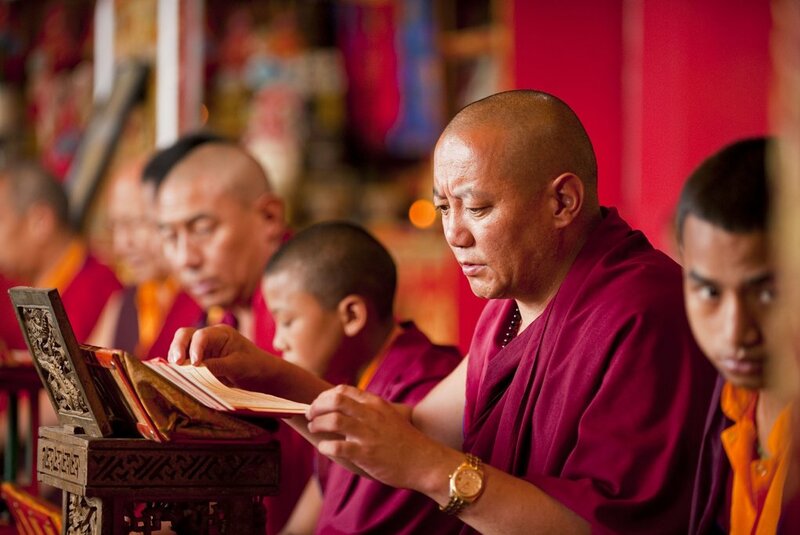 A deep look into culture and a nice way to open up your feet muscles. THE WORKING NEPALI - a Culture Walk in the villages of Bungamati and Khokana looking at how suburban Kathmandu and its lifestyles are changing. We also go deeper into a project that helps home-based workers uplift themselves through skills on our WEAVE your OWN SOUVENIR concept tour. You can try your hand at these skills. LUNCH with NUNS - A hike in the northern national park of Shivapuri to the Nagi Gompa, a nunnery in the middle of the forest, where the nuns will have prepared a lunch for us, and we'll give a small donation via a service payment to the nunnery. 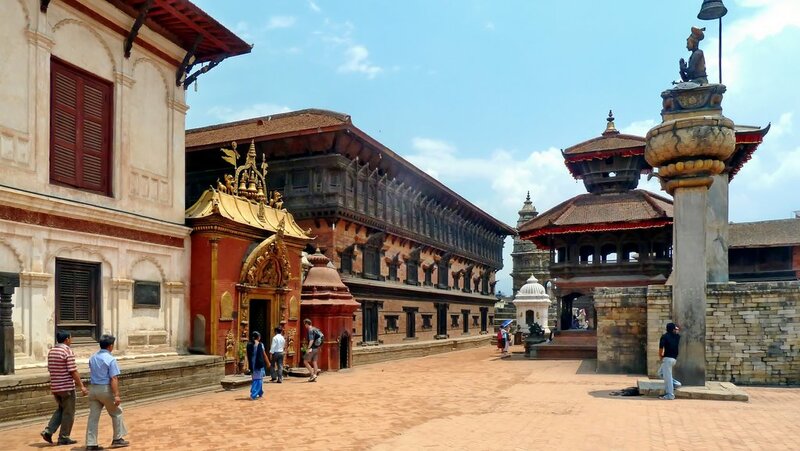 SPLICE of KATHMANDU & KUMARI TRAIL WALK - a Walk into the bustling markets of Ason and Indrachowk, combined with a visit to the Kathmandu Durbar Square, the temple of the living Goddess and a walk through inner lanes of the inner city. 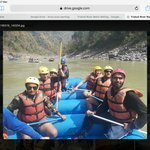 RIDING the MAGICAL MARIJUANA LOOP - if you are interested in seeing Kathmandu valley on 2 wheels - this is a cycling opportunity you do not want to miss. A two - three hour, around 25-kilometer loop on the southern side that starts with a coffee at Karma Coffee - a coffee boutique and then ends with a pizza and a beer. A wonderful way to see the city suburbs! Post breakfast, we drive to Sankhu, which will take about one hour, or a little more depending on traffic, and start our hike to Nagarkot which should take about three to four hours including a local lunch along the way! The trail is mostly uphill as we meander through local settlements and communities. 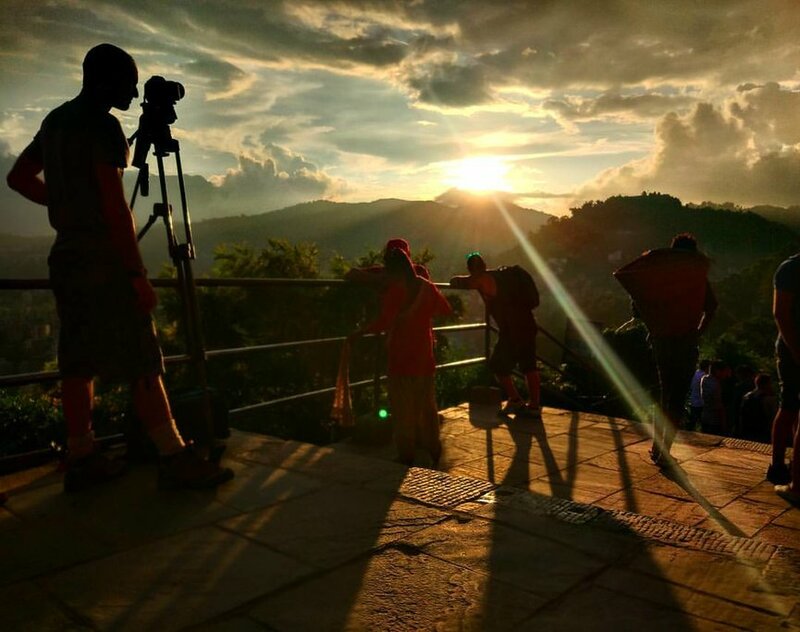 Overnight at a Resort in Nagarkot, which is famous for its views of the Himalayas. The hike from Nagarkot to Dhulikhel follows a ridge line for about 3 - 4 hours and we reach Dhulikhel around lunch time. After a local lunch, we then drive for about half hour to Bhaktapur, the ancient town that was restored to its former glory and is now one of the must visits. There we settle into the Peacock Guest House, which is nestled in a square and is quaint and ancient. Today we start the day really early with our signature trip called DAWN @ BHAKTAPUR which can be done either walking or on wheels (bicycles of course). Post-breakfast, we can continue with another tour to meet the Yogurt Makers of Bhaktapur in our HUMANS of BHAKTAPUR tour. Later we brave the traffic to Patan to visit the Karma Coffee Boutique to have a delicious cuppa organic Nepali coffee, plus understand how fair trade and market linkages work using coffee and everything around it. After all this, we head back into town. 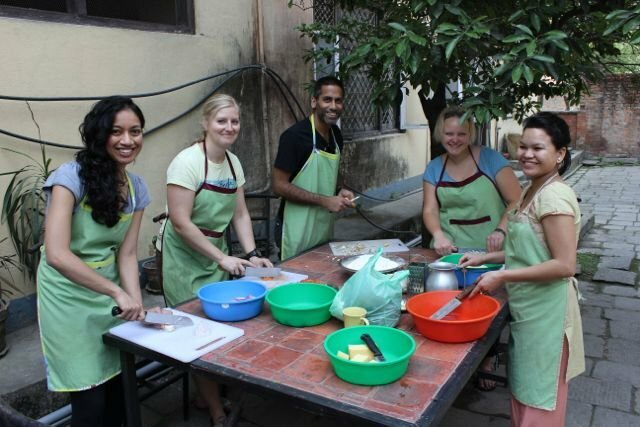 We keep today free for optional tours like the COOK LIKE A LOCAL course to learn Nepali cooking or wander the streets searching for souvenirs, or just appreciating the local music scene in the evening, or visiting some real nice restaurants or a great massage.